As our beloved four-legged friends grow older, their grooming needs change. Many senior dogs deal with joint inflammation, arthritis, sore muscles and general fatigue. Ageing dogs often suffer diminished eyesight and sense of smell, which can easily make them nervous or frightened. If you fur baby has been visiting us for some time than this will be less of an issue as they would already be familiar with our salon. 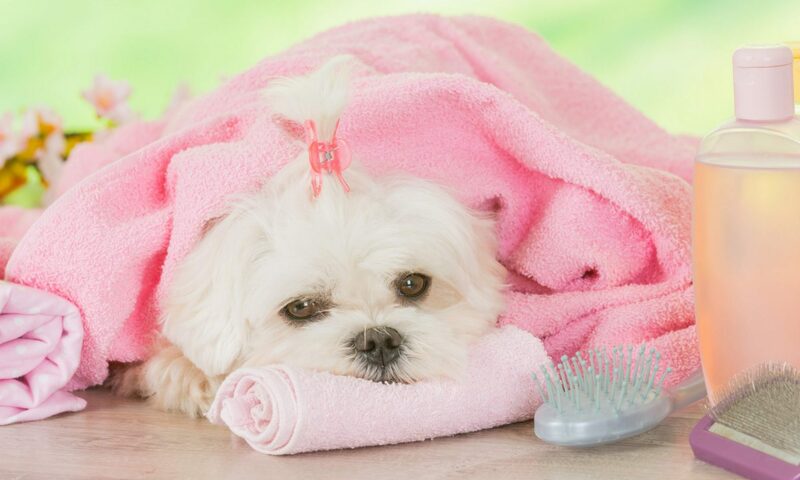 Senior dogs may not be able to handle the same grooming regimen that they could in their younger years and it is crucial to realise that some sacrifices may have to be made for your fur baby’s benefit. You may not be able to have that fancy poodle trim where your pet needs to stand for some time to be hand scissored. Pressure sores, skin tags, balding and benign fatty cysts are common in older dogs and their trims will have to be altered to cater to their needs. Jaimee and Angela will always be honest with you and their first priority is always the health and well being of your four legged family member. Jaimee and Angela understand that ageing dogs generally require more patience, tenderness and consideration when being groomed to ensure they receive the level of care and respect they deserve.